This past year, shocking headlines of arrest, strip-search of Indian diplomat overshadow alleged mistreatment of her nanny. Foreign diplomats and foreign staff members of the United Nations and other "Non-Governmental Organizations" associated with the UN are permitted under US law, as a courtesy, to bring their foreign domestic service workers to work in the United States. These foreign domestic service workers are employed as nannies, maids, housekeepers and senior caregivers. The US State Department imposes strict rules that the foreign diplomat must agree to, contractually, with the domestic worker that governs their employment in the United States as part of the visa application and issuance. The minimum hourly wage that applies to a G-5 or A-3 domestic service worker increased effective July 1, 2013. 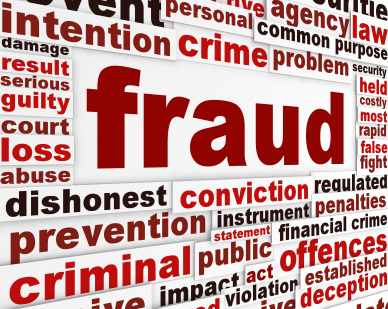 G-5 and A-3 domestics are personal attendants who are citizens of a foreign country admitted to the United States to perform domestic service functions for other foreign nationals who are working in the US on diplomatic visas. The minimum hourly wage these domestic workers can be paid is set by metropolitan area using payroll data compiled by the US Department of Labor and is known as the prevailing wage. Q. I am a G-4 visa holder and I sponsor a G-5 maid. I do not pay US Income Taxes. Am I required to file anything at year end? 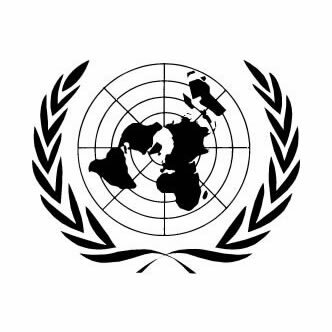 Staff members of international organizations inside the US territory are not required to pay US Income Taxes on their income from the international organizations; however, when they become G-5 sponsors, they must file/pay employment taxes arising from their domestic (household) employment. 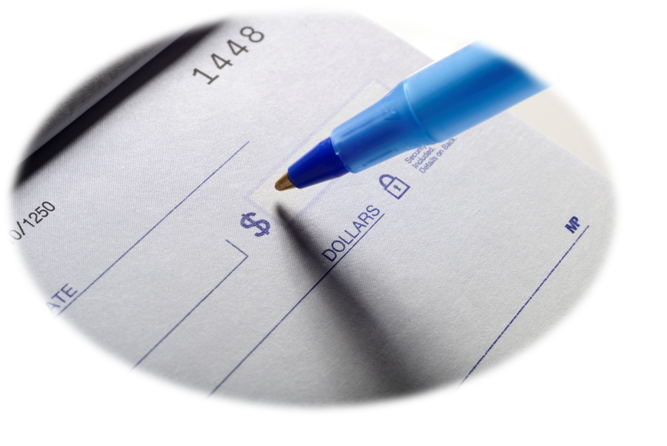 Federal employment taxes are reported and paid on the Form 1040 Schedule H. If there is no income subject to US Income taxation, this Form must be submitted with payment as a stand along document to the Federal Government no later than April 15th. P. Soy titular de una visa G-4 y patrocino a un empleado con visa G-5. Yo no pago impuestos sobre la renta en los Estados Unidos. ¿Debo presentar algún documento a fin de año? Miembros del personal de organizaciones internacionales dentro del territorio de los EE.UU. no están obligados a pagar impuestos por sus ingresos, sin embargo, cuando se convierten en patrocinadores de un empleado con visa G-5, deben presentar y pagar impuestos correspondientes al empleo de éste. Los impuestos federales son reportados y pagados mediante el Formulario 1040 Anexo H. Si no está sujeto a impuestos sobre la renta de EE.UU., este formulario debe ser presentado como documento individual y pagado al Gobierno Federal a más tardar el 15 de abril. The US Treasury's Internal Revenue Service (IRS) advises that G and A visa holders temporarily present in the United States as a foreign government related individual are non-residents for income tax purposes, no matter how long they have resided in the United States. The situation for a G-5 domestic servant, who is NOT a foreign government related individual is a bit different, and their Federal income tax filing status is determined based on their time in the country. 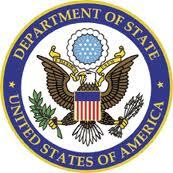 The State Department has published the new prevailing wage data for international diplomatic staff who sponsor G-5 or A-3 domestic staff effective 7/1/2011. G-5 Domestics: Arrived after July 1, 2010? 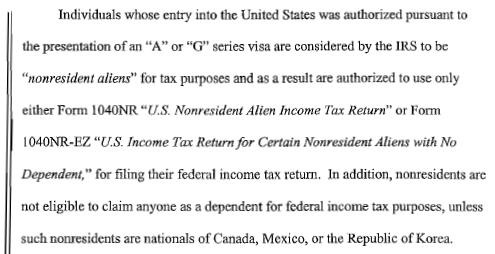 G-5 domestics who are in the United States less than 183 days in their first year working in the US are considered non-resident aliens for Federal income tax purposes and will file a Form 1040NR for the first year of employment.